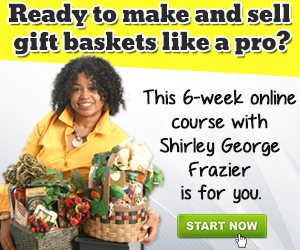 There are lots of ways to find out about gift baskets including video and classes. 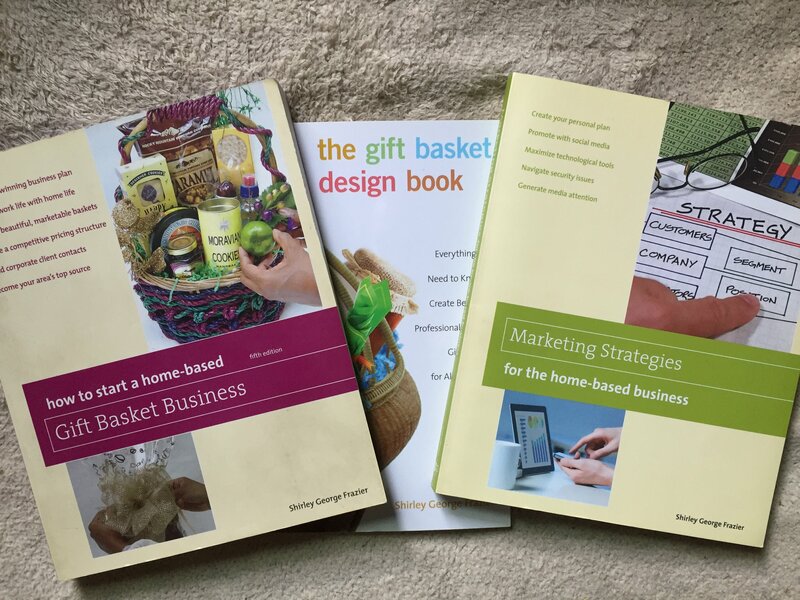 So, what can you learn from a gift basket book? Here’s the answer. 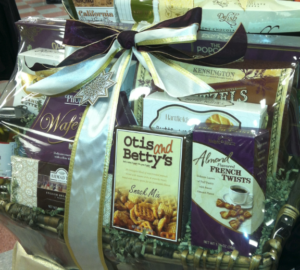 You’ll get lots of information about gift baskets from people on social media who share their experiences. That’s a good start. What’s shared is done so with good intentions. However, not all of what’s you read is the right advice for you. One woman asked about setting prices for her gift baskets. Three people responded with different ways to set prices. The woman was thankful, but she also expressed her continued confusion. No one responded after that to help her end the mathematic chaos. The real concern about pricing, as I’ve learned from my 29 years in this business, is that what one person charges isn’t what another person can or would charge. 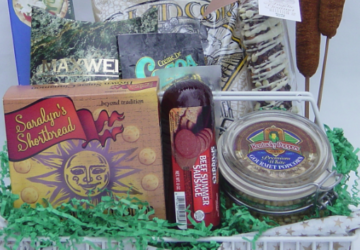 The definitive article on starting a gift basket business helps you understand this. 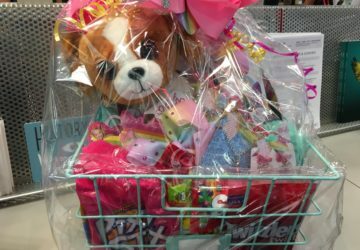 Gift baskets are fabulous to create. 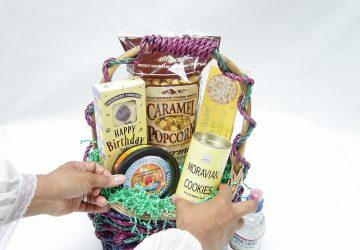 Deciding what to charge when you make gift baskets for money is not so easy! That’s why setting your pricing, with help from a trusted book, removes the guesswork, and there are other benefits, too. 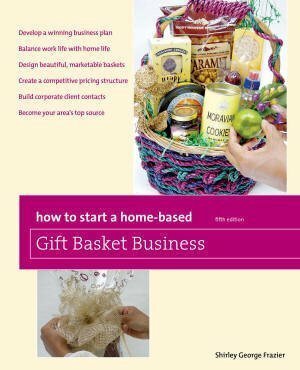 How to Start a Home-Based Gift Basket Business leads the pack as the must-have book to start and grow a full-fledged, money-making business. It was first published in 1997 and is currently in its fifth edition. This is the book with pricing details (it’s in chapter 5) as well as everything you need to know about products, laws, setting up, customers, deliveries, marketing, growth, and much more. It’s the book that new designers grab and keep. I’ve seen many books that I autograph in person that are tattered with each page highlighted in a different color. That’s the mark of successful entrepreneurs! 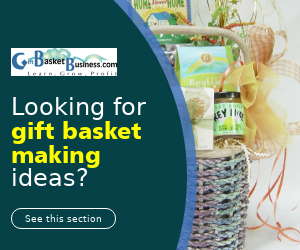 The Gift Basket Design Book is for you if a complete how-to-design guide along with colorful examples for every imaginable occasion is what you want. 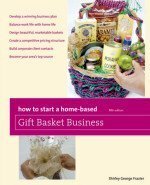 You’ll find a step-by-step tutorial on how to make and enclose your gift baskets in this book. 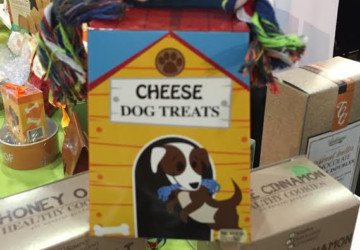 There’s also design samples from successful designers who’ve made gift baskets for many years. It’s gratifying to have written this book and selected designers throughout the U.S. to showcase their phenomenal gifts. If you want to see a gift basket made with a water hose as the container so you can make one, too, this is the book for you! 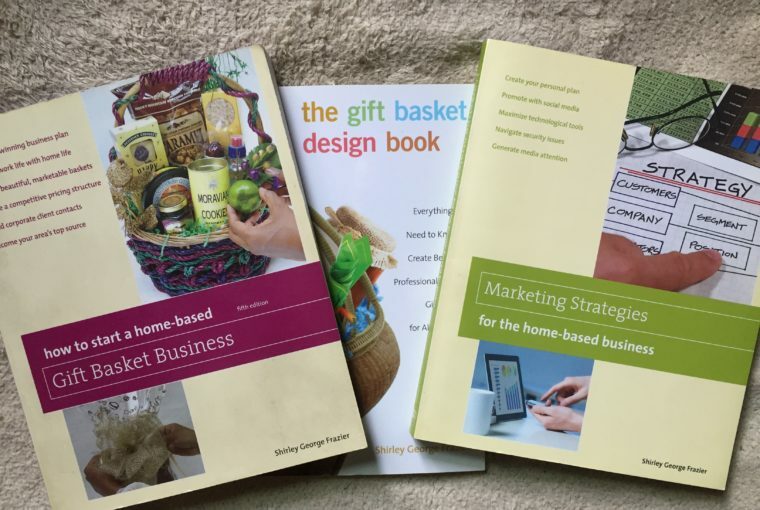 Marketing Strategies for the Home-Based Business is the companion book that focuses on getting the word out about your beautiful designs. It’s a book that’s for anyone in business. 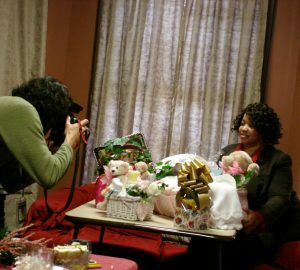 However, because I’m a gift basket designer, the ideas and tips are skewed in your favor. You’ll find these e-books and future publications on Amazon. Remember back in the day when a bookstore was the only place to find books? I’m glad there are more options today. Order through this store, and I’ll autograph each book to you! Order through Amazon or another online seller. You’ll find more gift basket books in electronic format written by me and available for immediate download on my Amazon page. 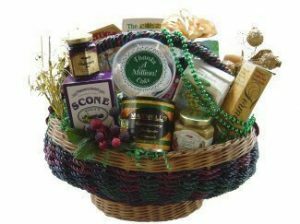 Now that you know what can you learn from a gift basket book, what more do you want to know about gift baskets that’s not mentioned in the books?